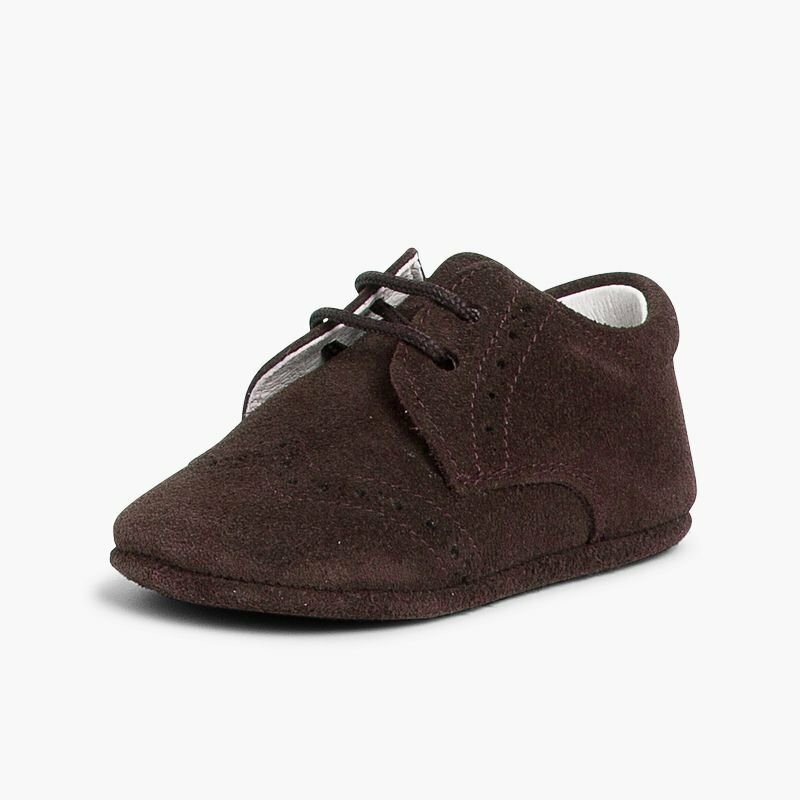 Blucher style baby shoes with broguing detail. 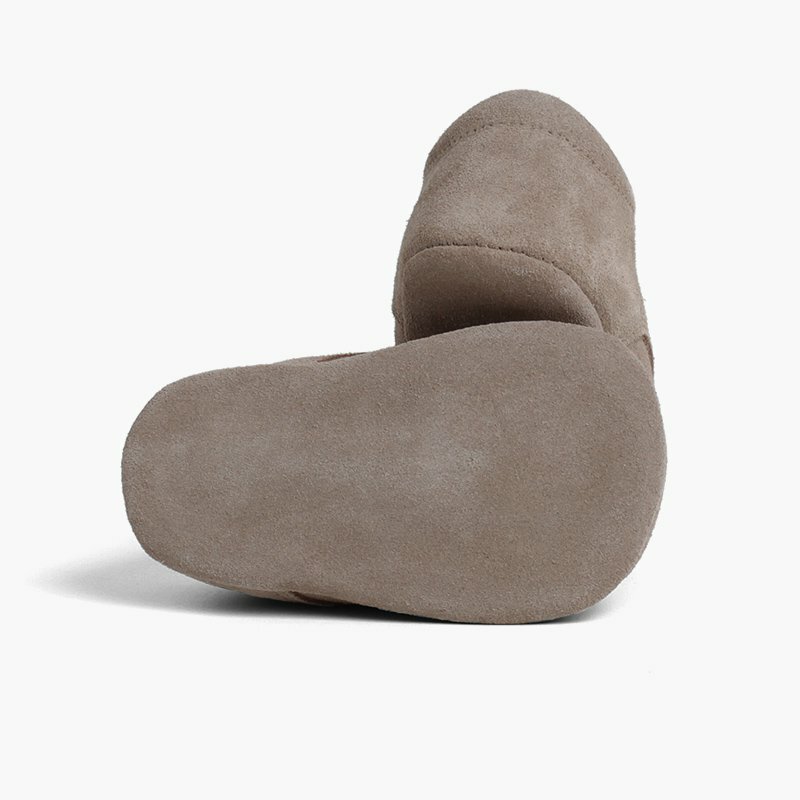 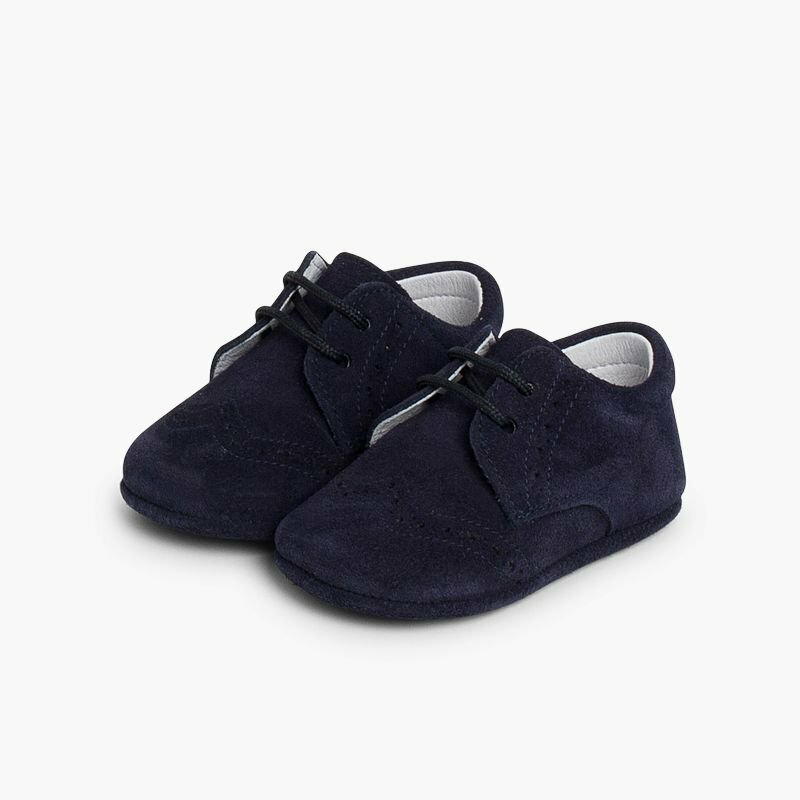 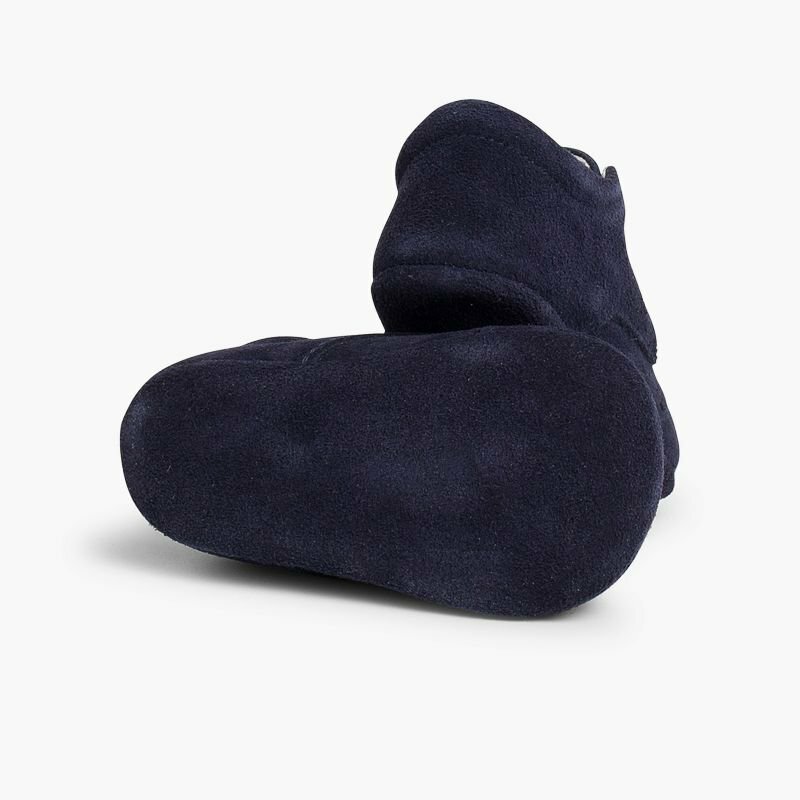 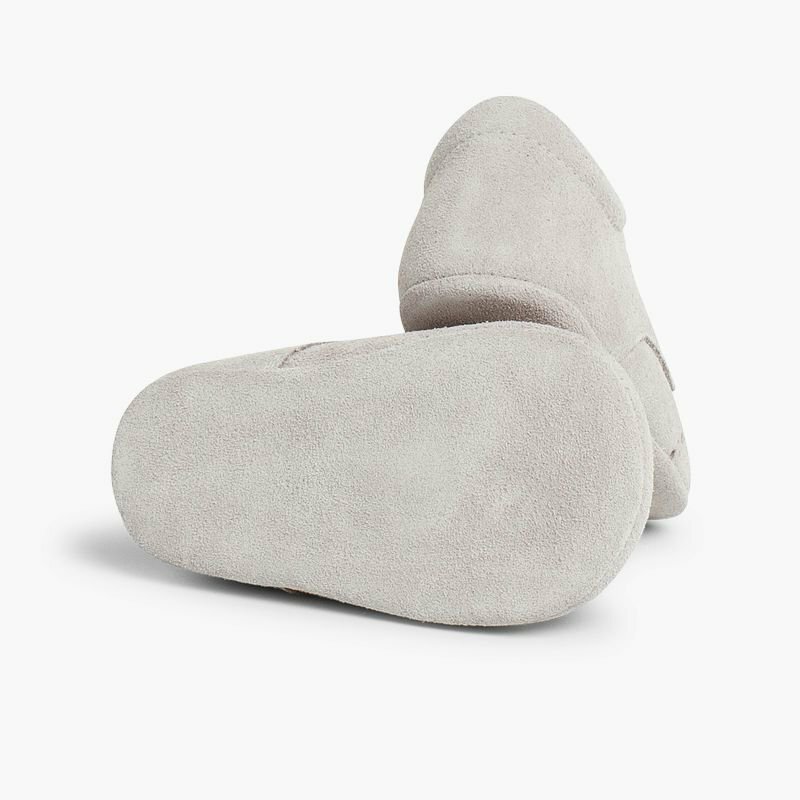 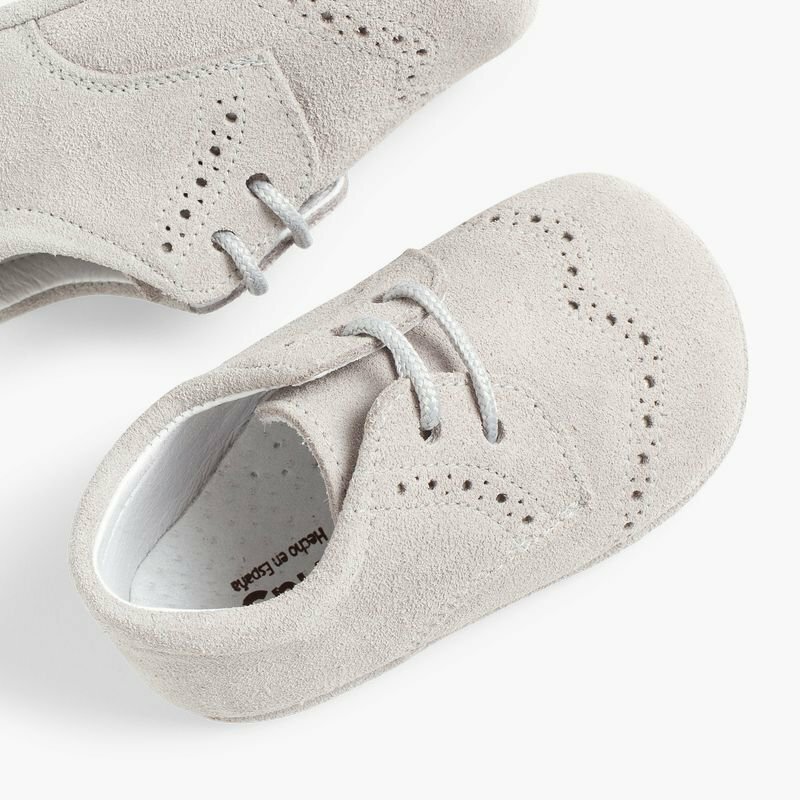 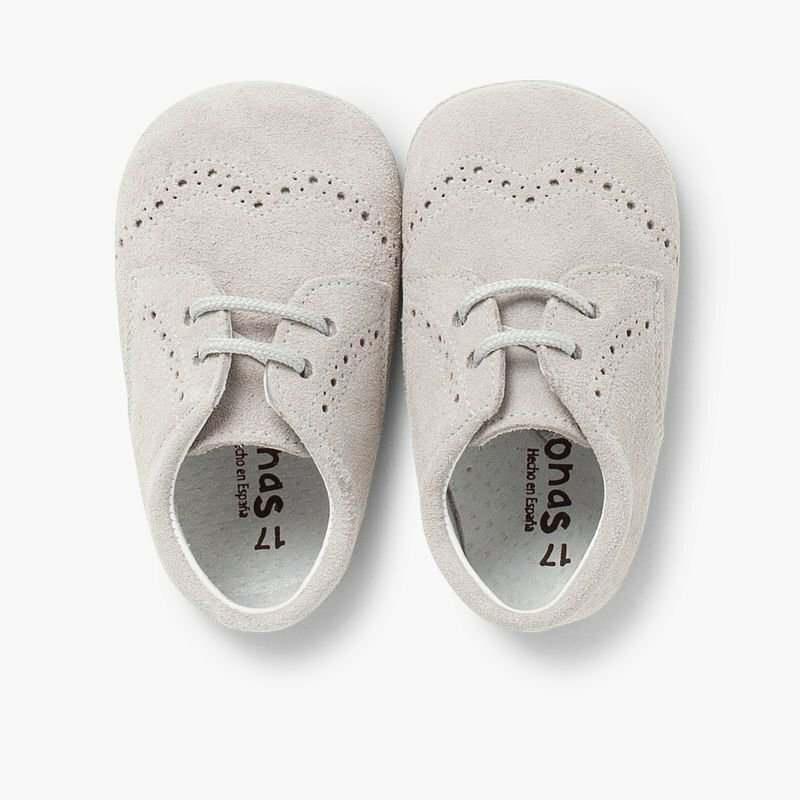 Made in Spain, from top quality split suede, this shoe will the pre-walker perfect partner on their adventures due to their soft finishes and high comfort. 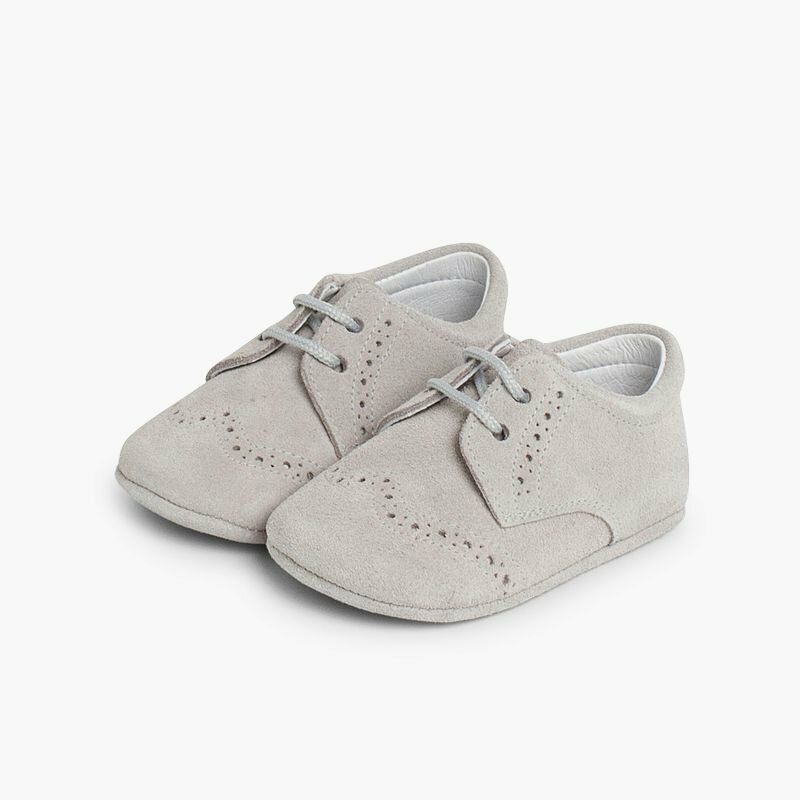 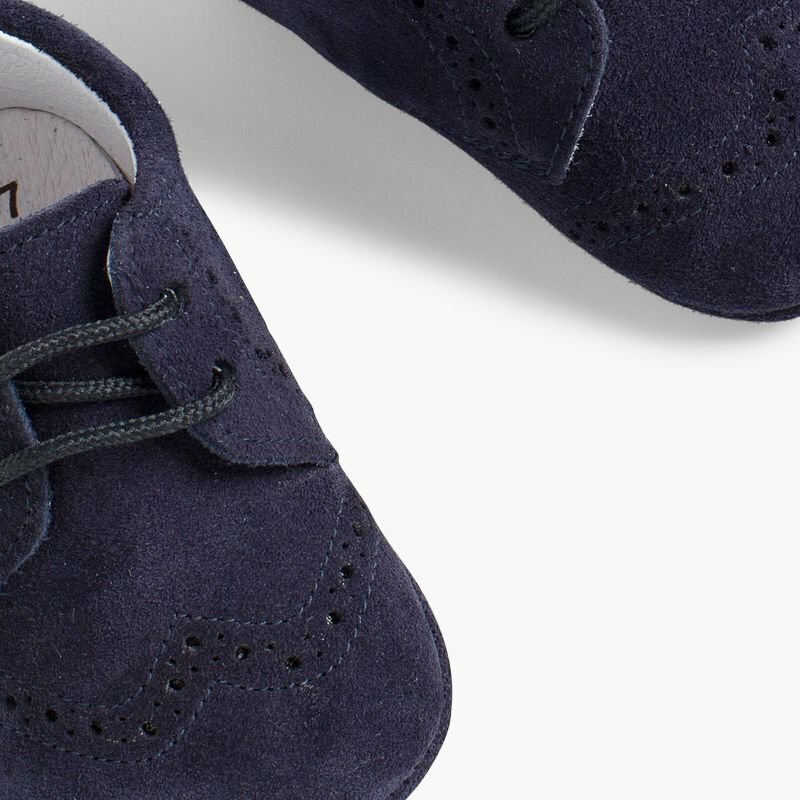 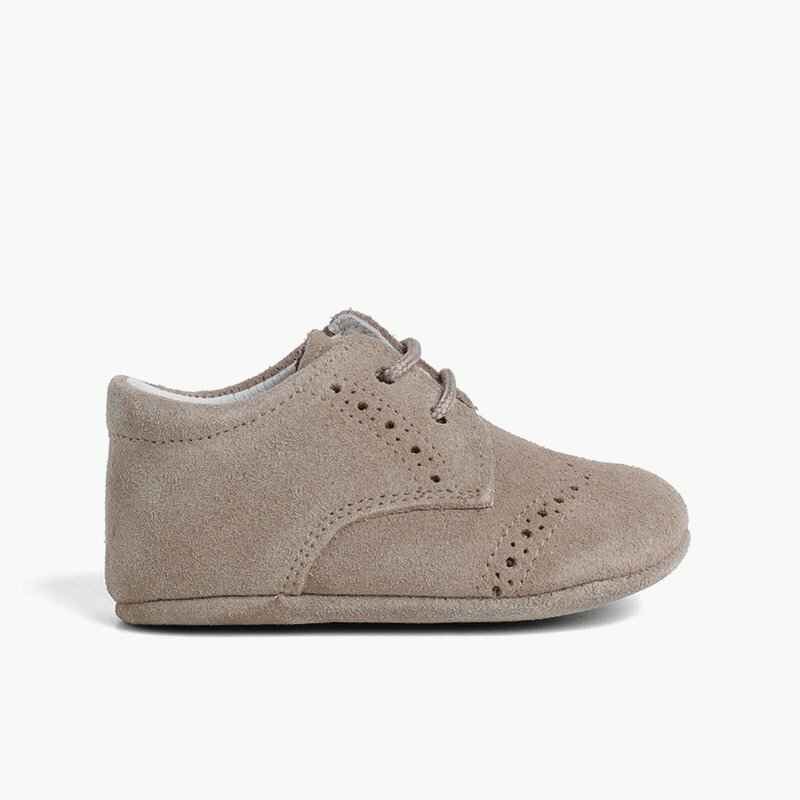 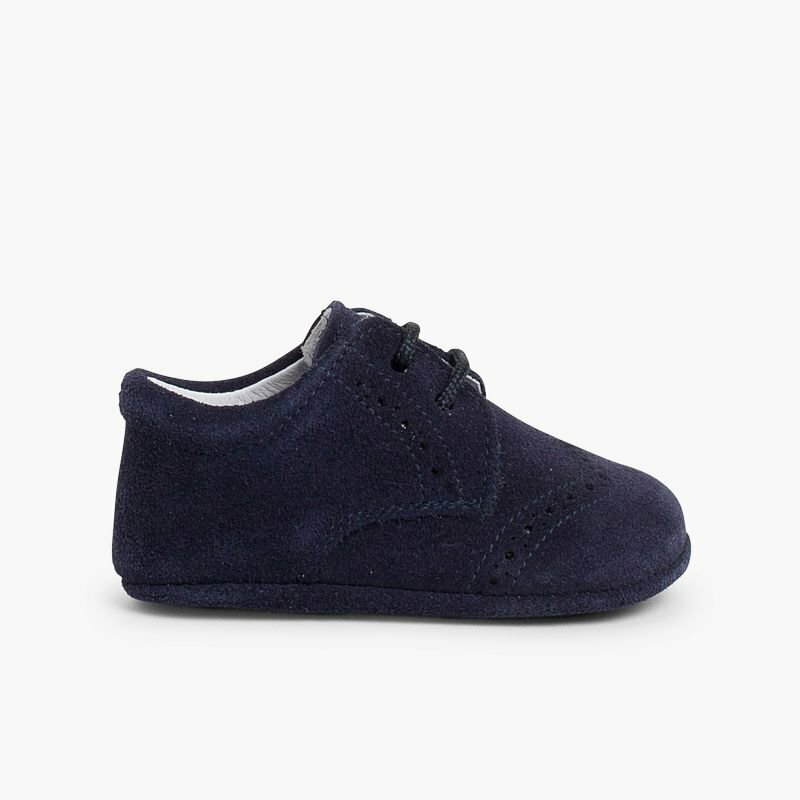 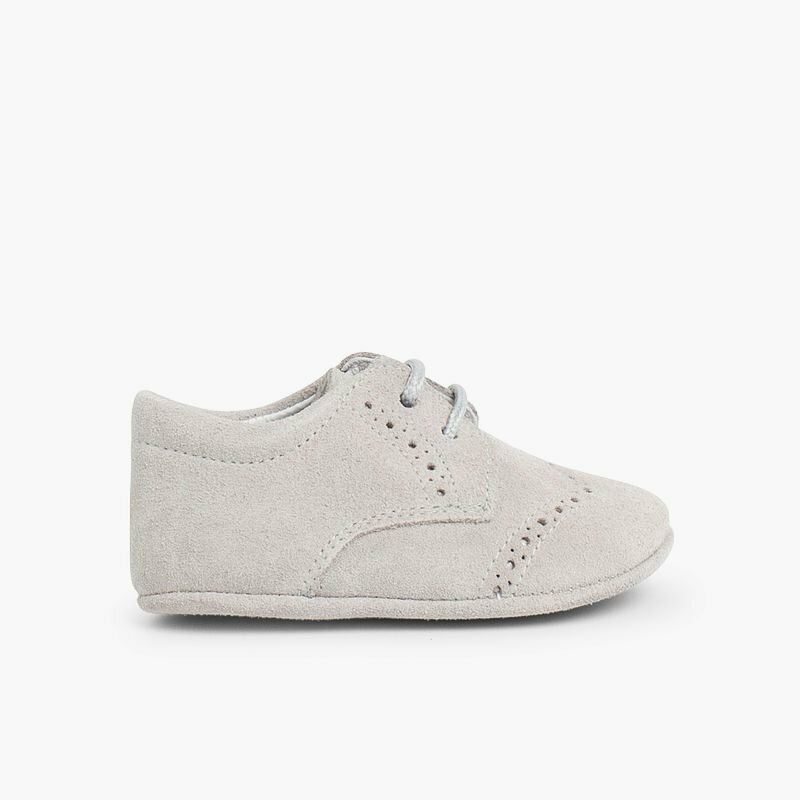 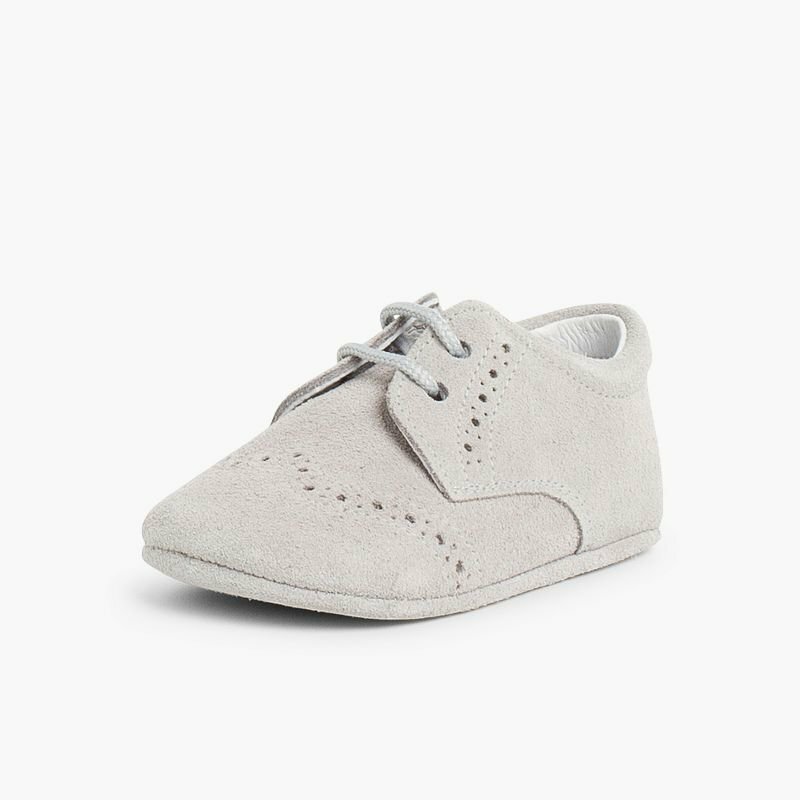 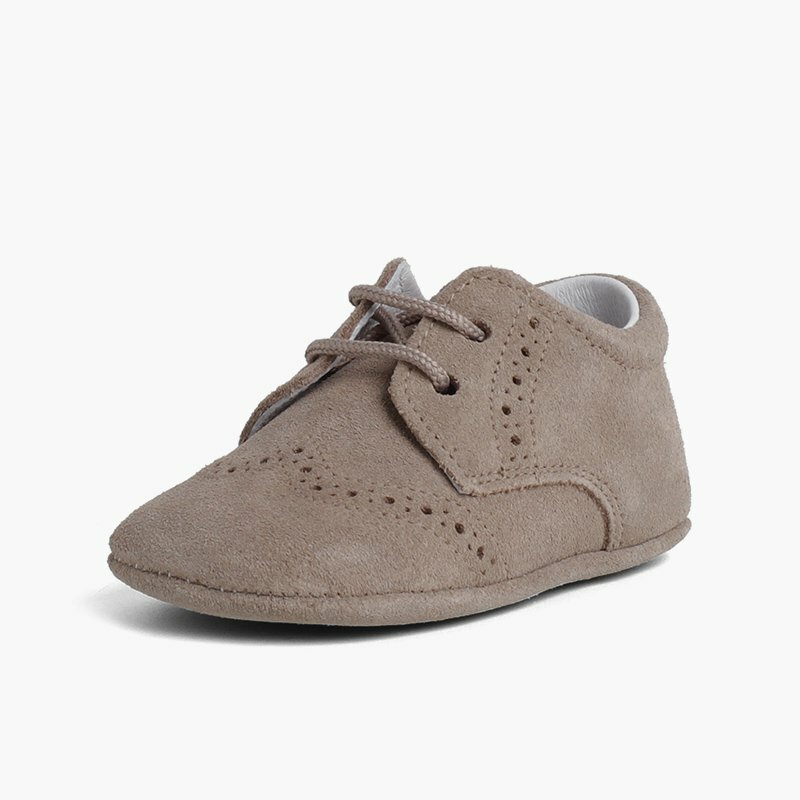 Ideal both for mild weather and the coldest months of the year, with this blucher shoe your baby will explore the world in style. 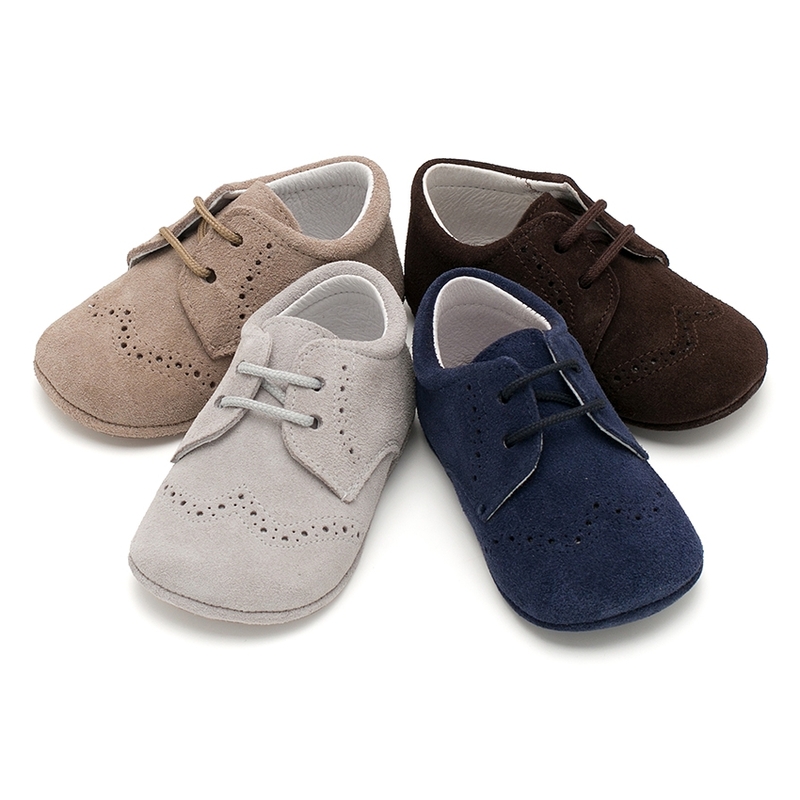 Available in navy blue, brown, beige and grey to match all their autumn-winter outfits. 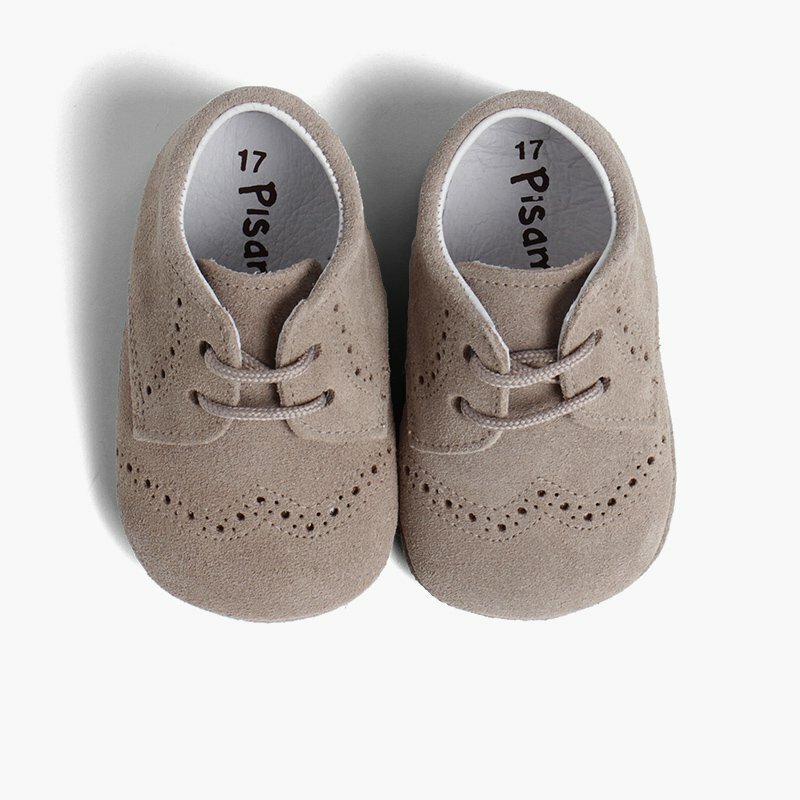 Get your blucher style baby shoes, at the best price, while treating your beloved one's feet with Pisamonas.